Chieftain's Banner is a rare Endurance support card. It is part of the Core Set. 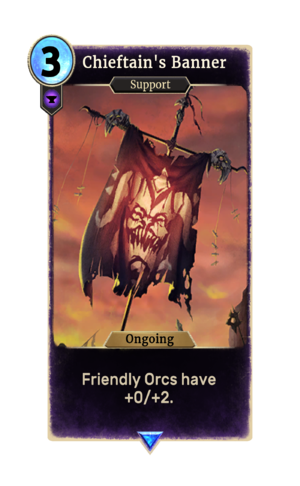 The card's art depicts an insignia similar to that of Molag Bal.